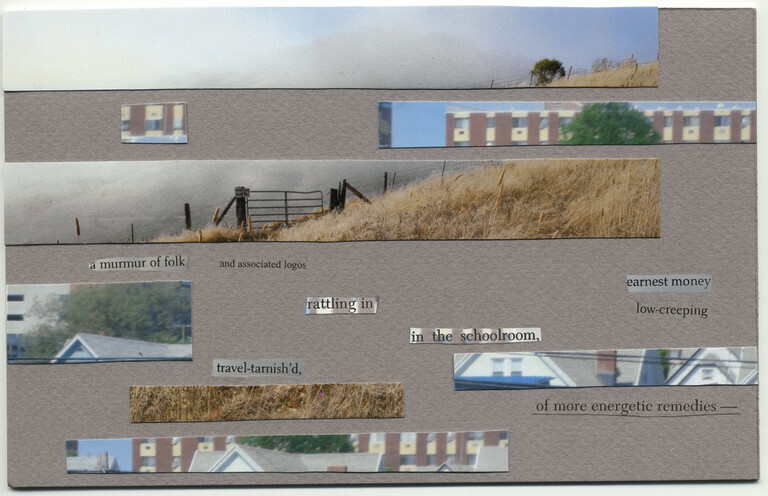 Pop-up pastoral from Jennifer Scappettone, ‘The Republic of Exit 43: Outtakes and Scores from an Archaeology and Pop-Up Opera of the Corporate Dump’ (Berkeley: Atelos, 2016), 94. 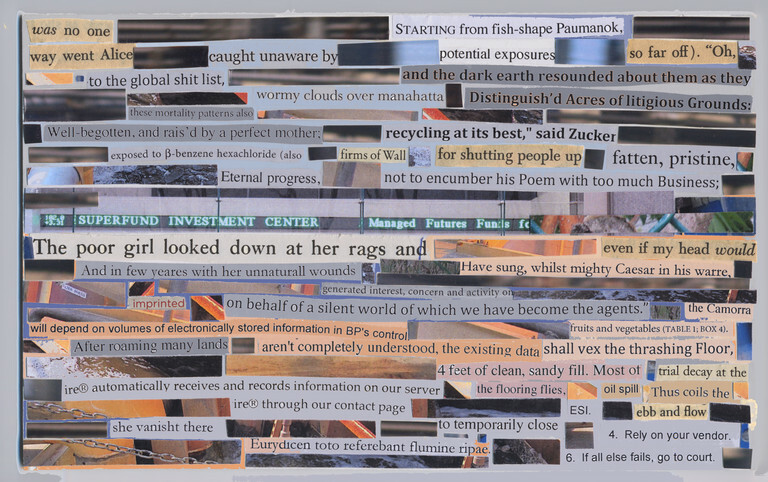 The following are six pop-up pastorals from Jennifer Scappettone’s 2016 release with Atelos Press, The Republic of Exit 43: Outtakes & Scores from an Archaeology and Pop-Up Opera of the Corporate Dump. 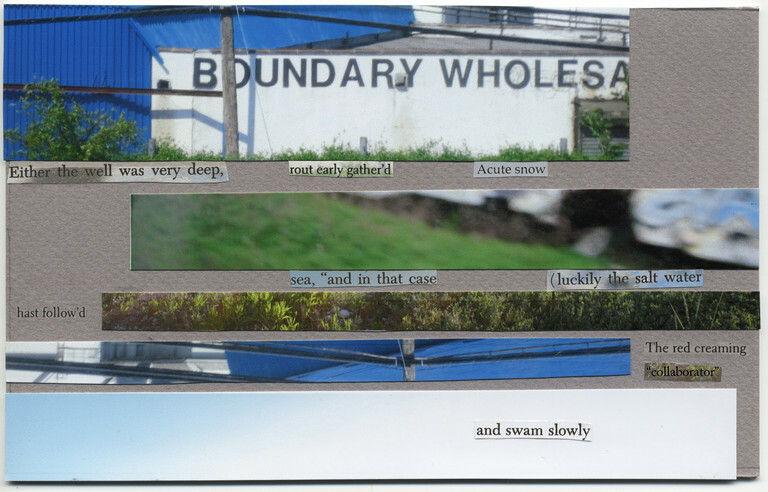 These choral scores, made between 2008 and 2016, have been deployed in a variety of performance scenarios with other poets, musicians, and dancers. 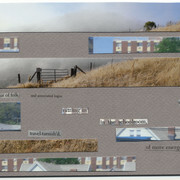 For an essay surrounding the work of The Republic of Exit 43, click here. 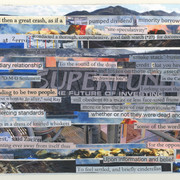 'a murmur of folk' (2008–09), from Scappettone, ‘The Republic of Exit 43,’ 34. 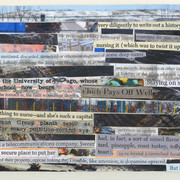 'Either the well was very deep,' (2008–09), from Scappettone, ‘The Republic of Exit 43,’ 35. 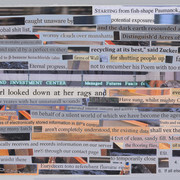 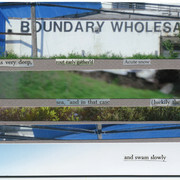 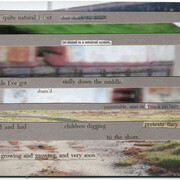 'shedding gallons' (2008–09), from Scappettone, ‘The Republic of Exit 43,’ 36. 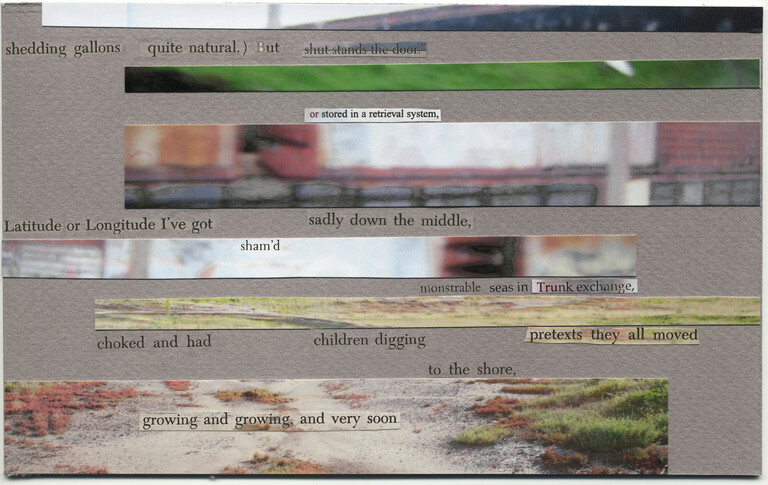 'was no one / way went Alice' (2015), from Scappettone, ‘The Republic of Exit 43,’ 57. 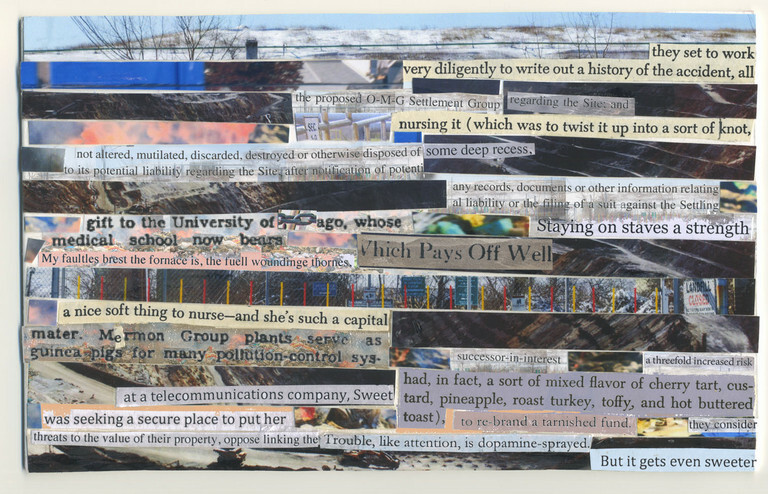 'they set to work' (2016), from Scappettone, ‘The Republic of Exit 43,’ 94. 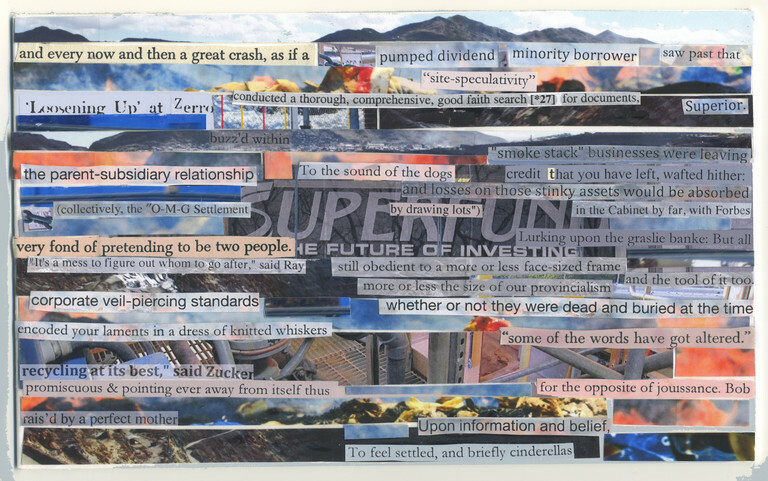 'and every now and then a great crash,' (2016), from Scappettone, ‘The Republic of Exit 43,’ 95.